Christmas holidays just bring out the cheer in everyone. It's not just the Christmas trees, the holiday greeting cards and wonderful Christmas gifts delivered by Santa Claus, Rudolph and the reindeer.......it's the smile and greetings from friends, family and even people you hardly know. It's a wonderful holiday season tradition that people all over just smile and say Happy Holidays. Have a Merry Christmas, Seasons Greetings to you and your family, Happy Holidays, have a great New Years wherever you go. Once Thanksgiving is over, that's the kick off for the Official Seasons Greetings to everyone you know. It's just the holiday season. The feeling that makes you smile being greeted by Santa mounted on someone's roof. The twinkling Christmas lights as you drive around your neighborhood. The extra cookies your neighbors and friends share. The Toys For Tots collections to help children less privileged have a wonderful magical holiday too. The fun of family plans, giant holiday dinners and plans for Christmas Eve and Christmas Day all centered around love, warmth and for many, church and religion. 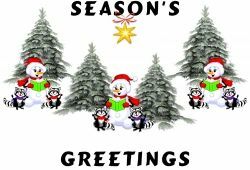 Merry Christmas, Seasons Greetings, Happy Holidays are some of the wonderful cheers you hear during the holiday season. Does it matter which greeting you say to who? People today I think in our culture are more aware than ever that not everyone comes from the same background, religion or culture. Yet we still want to greet everyone with a smile and a wave and so it is so easy to wish anyone and everyone greetings of the holiday season. Does it offend someone if you wish them a Merry Christmas and their religion doesn't celebrate Christmas? If someone is part of a culture that does not believe in the religious traditions of the holiday, do you hurt their feelings by saying Happy Holidays? I think there is no easy answer to these questions, but I believe that everyone will surely appreciate the smile and the wave, and the good intention behind the greeting. I know that I do not celebrate Christmas and I am not Christian, but I so very much enjoy the holiday spirit when someone greets me with have a happy holiday! Season's Greeting cards are nice and thoughtful, it means that some cares enough to think about you. I think that's cool. I love the sparkle and glitter of the holiday season. 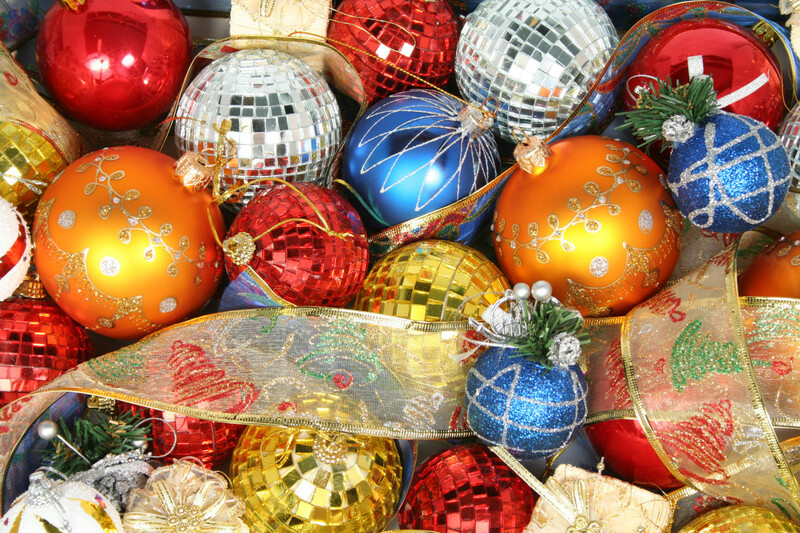 Everything from decorations to signs and even fashion glitters with shiny snowflakes, glitter paint and sequined dresses for Christmas parties and meals. Red, green and white ribbons, bows, confetti and sparkling gems and jewels brighten the beautiful season from small towns to big cities. Sparkly ornaments, icy crystals along with sparkly eyes and shiny faces of children excited for the fun of the holiday season seems to just make everything glow and sparkle and shine. I love Frosty the Snowman greetings. 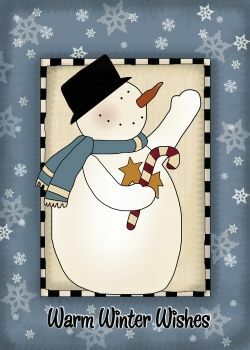 Okay, not all snowmen are named Frosty but he's a wonderful symbol of the holiday season. He waves and smiles and stands proudly in store windows, front lawns and even on roof tops. It doesn't matter if you live in New York City, Chicago, Los Angeles or Miami Beach, if it's Christmas there are snowmen everywhere! A snowman means hours of fun for kids of all ages. Rolling the snow, building him high, carrots for his nose and a happy face. Top off the season's greetings with a scarf and hat and its giggles and laughs and wonderful warm winter wishes everywhere you go. Seasons Greetings and Merry Christmas music, home décor and greeting cards for the season of Joy. Decorate your home indoors and outdoors, keep the food and music and fun of the season flowing while wrapping your holidays gifts and doing your shopping. Hi, Merry Christmas says your neighbor, your co-workers, your friends. Have a Merry Christmas and Ho Ho Ho says Santa Claus and his wonderful reindeer. Have yourself a very merry christmas sings Bing Crosby conjuring up wonderful visions of snowy holidays, old movies and singing happy songs. Christmas greetings in the coffee shop, the local grocery and especially in the department stores where the busy malls and retail stores are holding holiday sales, offering bargains and coupons and discounts to make sure your family has a Merry Christmas this year. 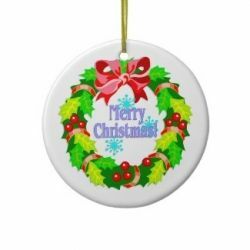 Personalized Merry Christmas stockings and ornaments and home décor that bring out the warmth, the spirit and the smile inside during this wonderful time of the year because people are smiling and excited and planning parties and surprises. And even if you don't personally celebrate Christmas, you still may be enjoying the day off from work, super sales and deals for great shopping, dinner with friends and family or just a day to yourself to do whatever is fun for you. 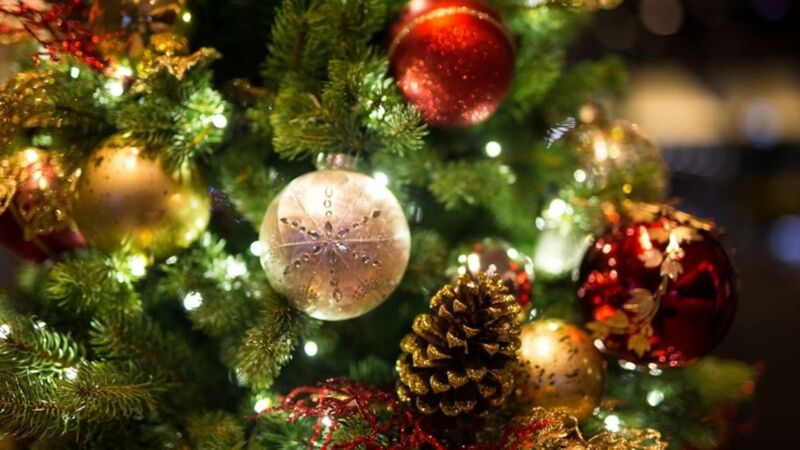 Christmas decorations for outdoors is the classic way to greet your visitors, entertain your neighbors and provide a fun and cheery glow to season both night and day. With everything from classic colorful Christmas lights to pure white lights and icicles powered by safety electrical connections and now available in solar power christmas lights there's just no reason for your house not to glow this season. Also a favorite now are inflatables for your yard, driveway and porch showing off waving, happy snowmen, santa claus and even religious nativity scenes. Don't forget to add a wreath to your front door of pine needles and a big red bow to finish the welcome to our home for holidays look. Bright colorful Christmas lights that are energy efficient and a warm and glowing holiday greeting. 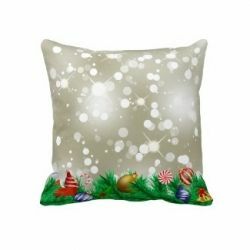 Snowy white glitter of the Christmas holiday season. So fun to choose between decorating your home with colors and flair or classic white lights welcoming the holiday. Solar-powered decorating lights - no outlet needed! Now decorate anywhere without dangerous extension cords or need for an outlet. Sun charges string of 60 lights by day, turn on automatically at dusk and run for about eight hours! No energy cost! Great near road, around mailbox or lamp post - now you're not limited to nearby outlet. 26' length. Holiday gifts and presents galore in every mall and every store. But truly the greatest gift of the holiday season is the love of family, friends and good times to come. 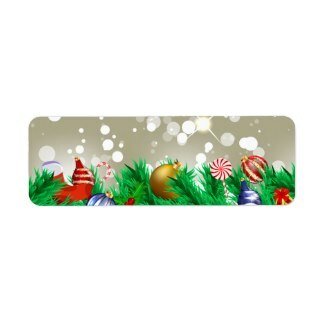 You can wrap your gifts with ribbons or bows, wrapping paper with seasonal themes or gift bag them with adorable tags. You can order personalized presents online and send them by mail, FedEx or UPS or deliver them in person for holiday time. Some presents will go under the Christmas tree to be opened Christmas Day, some will be stocking stuffers and some families open their gifts on Christmas Eve. You may be a Secret Santa surprising co-workers or groups of friends with a special something just for them. It may be just a token, a tip for services you appreciate all through the year. It may be a basket filled with holiday cheer. 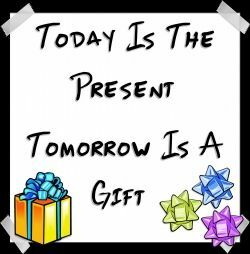 Whatever the present, no matter what holiday you celebrate, it really is true that when you chose from the millions of gift ideas choose it with the person you are surprising in mind and it will be true, that it is the thought that counts. Wishing someone a Merry Christmas and Happy Holiday translates to the spirit of the holidays to come. No matter what culture or background or country you are from it's pretty easy to understand the meaning even if you don't understand the exact words. It's the smile, the season, the time of year when sleigh bells are ringing, christmas carols are playing and christmas decorations are everywhere. It's a universal language, the language of cheer. It's nice to send a greeting card in someone's native language. It shows you respect where they come from. But it's not an insult if you don't. It's nice to greet and cheer and care in any language every holiday of the year but it just seems people give it even more thought at that time of the year between Thanksgiving and New Years Eve. The holiday season is the perfect time for baking cookies, cakes, muffins and wonderful desserts for a sweet and Merry Christmas. Whether you love butter cookies, red velvet cupcakes with green icing or cookie cutter adorable shapes you know no matter how busy life is especially around holiday time, you plan some space to bake up your favorites to share with family and friends. These adorable theme watches will help remind you it's that time of the year, or browse some of the other wonderful watches available on Amazon with yes, holiday themes like gingerbread men, occupation and careers, birthstones and every imaginable terrific idea you can come out with. 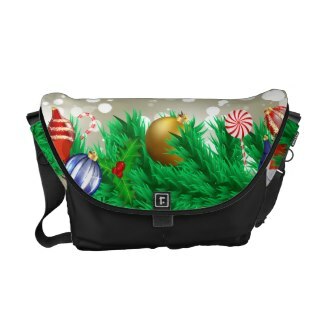 Oh and all the ones I've seen are available with Amazon Prime, so it's a great deal and free shipping if you are an Amazon Prime Member, if not sign up you will love it especially at holiday gift ordering time! Get into the Christmas spirit with the Whimsical Watches Women's Christmas Gingerbread White Leather Watch. With a fun and fanciful gingerbread scene alongside a circular white time display with gold-tone hands and Arabic numerals, this watch celebrates Christmas with whimsy. There's always time for baking especially in Mom's and Grandma's Kitchen filled with sweet smells and treats. Adorable fairies are perfect for every holiday bringing spirit, warmth and cheer. Our Christmas Puppy watch in Gold or Silver makes a unique holiday gift. Buy one for yourself to recharge your Christmas spirit whenever you check the time. A background of red stripes offest the adorable puppy and mistletoe beautifully. Nothing says Happy Holidays and Season's Greetings like a basket full of cheer. Beautiful gift baskets filled with chocolates, candy, flowers or fruit delivered with ribbons and bows in baskets, gift boxes and wrapped for freshness and smiles guaranteed. There are so many choose from Holiday Gift Baskets and Sweet Season's Greetings it's hard to know where to start. There is just no question that everyone loves to get gift baskets. 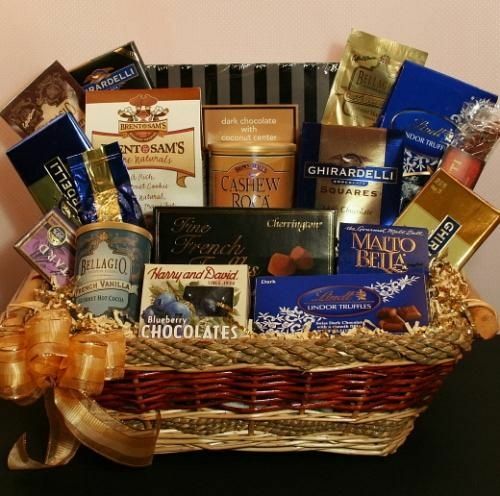 It's a great surprise to receive one at work or at home and now there are wonderful theme baskets for chocolate lovers or those with diet restrictions. 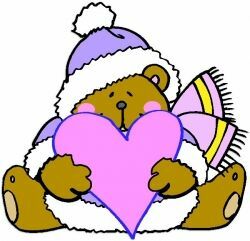 Sometimes you can include balloons, teddy bears and presents along with your sweet surprise. 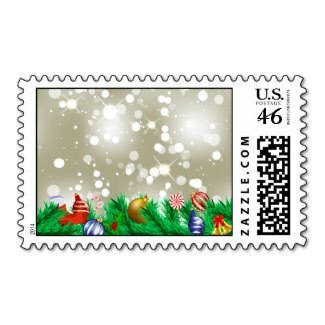 When in doubt, this a great way to say Happy Holidays to business associates, family and friends. Christmas and holiday home décor is such a fun way to greet your family and guests and come home to every holiday season. With Santa, snowmen, Christmas trees and winter wonderland all over your home it's just impossible not to smile and hum some Christmas tunes while baking, cleaning and getting ready for some holiday fun. Merry Christmas Embroidered Kitchen Towel Set of 3 features one each embroidererd towel, Snowman on green; Trees on Red; Presents on Green. The perfect holiday accent for your table. Spode Christmas Tree has graced table's all over the world since 1938. The pattern feature's a green banded traditional Christmas tree design. Each year this beautifully classic pattern adds many new dinnerware, accessories and giftware to it's range. There is no better holiday tradition than the gift of Spode Christmas Tree.